The following step by step guide shows you how to rip DVD to AVI, WMV, 3GP, MP4, FLV, SWF, MPG, MOV, etc. using Clone2Go DVD Ripper. Part 1. 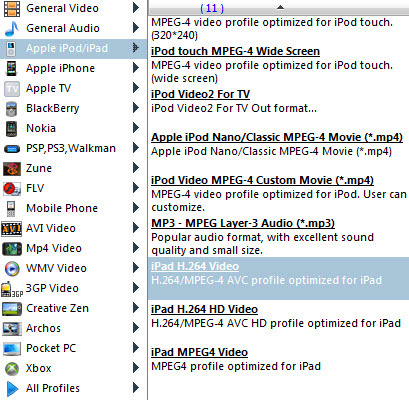 How to rip DVD to iPod/iPhone/Zune/PSP/BlackBerry/Phone/AVI/3GP/WMV/MP4? Part 2. How to convert AVI MKV WMV ASF 3GP RM RMVB FLV to iPod/iPhone/Zune/PSP? Part 3. How to extract audio from DVD as MP3/WAV/OGG/M4A/WMA file? Part 4. How to download YouTube/Google video for iPod/PSP/Zune/BlackBerry/Phone? Part 5. How to select DVD audio track and subtitle? Part 6. How to trim DVD movie, video and audio? Note: If you are using a Mac, please go to: How to Rip DVD and Convert Video on Mac OS X? 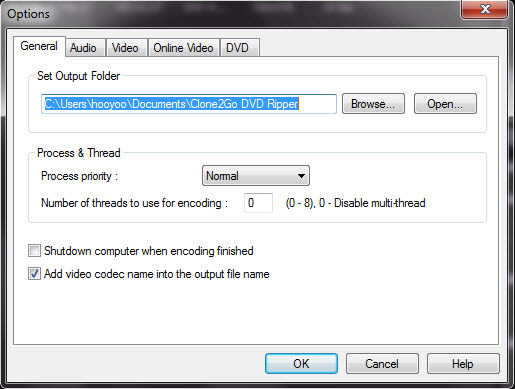 What you will need is Clone2Go DVD Ripper. Insert your DVD disc into DVD-ROM and run Clone2Go DVD Ripper. Click the "Open DVD" button to import the DVD file. Alternatively, you can click "File -> Open DVD..." to load the DVD disc. After the DVD disc is imported, there will be a list of DVD chapters/titles showing in the program. Note: If your DVD movie is saved as a folder in your computer hard drive, you need to click the "Add Video" button to locate and import the movie. Extend the "Profile" category to select an output format according to your mobile device. For example, if you want to convert DVD to your iPod Touch, you can choose "iPod touch MPEG-4" as the output format. If you want to customize the output video, you can click the "Video Options" and "Audio Options" buttons below the "Profile" category. 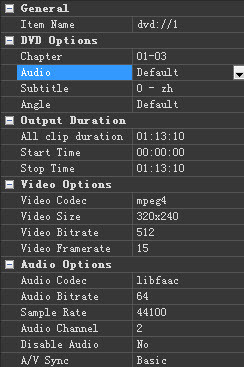 There you can set video resolution, frame rate, bit rate, video codec, etc. If you want to merge all DVD chapters/titles into one file, you can click the "Options" button on the main interface. 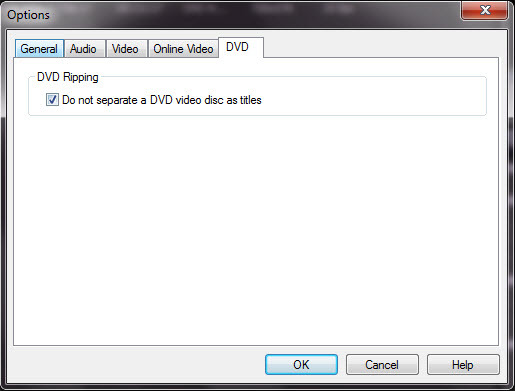 In the pop-up dialog, navigate to "DVD" and tick Do not separate a DVD video disc as titles. You will get a whole DVD movie rather than separate files. Of course, you need to make sure all DVD titles are selected. Specify the output folder. Click the "Options" button on the main interface. In the "General" tab, you can specify the folder for the output file. For your convenience, the output file is easily available by clicking the "Folder" botton in the main interface after the encoding process. After all the steps above, click the "Start Encode" button to start to rip your DVD movie to AVI, WMV, 3GP, MP4, FLV, SWF, MPG, MOV video file. How to convert AVI MKV WMV ASF 3GP RM RMVB FLV to iPod/iPhone/Zune/PSP? How to rip audio from DVD to MP3/WAV/OGG/M4A/WMA file?